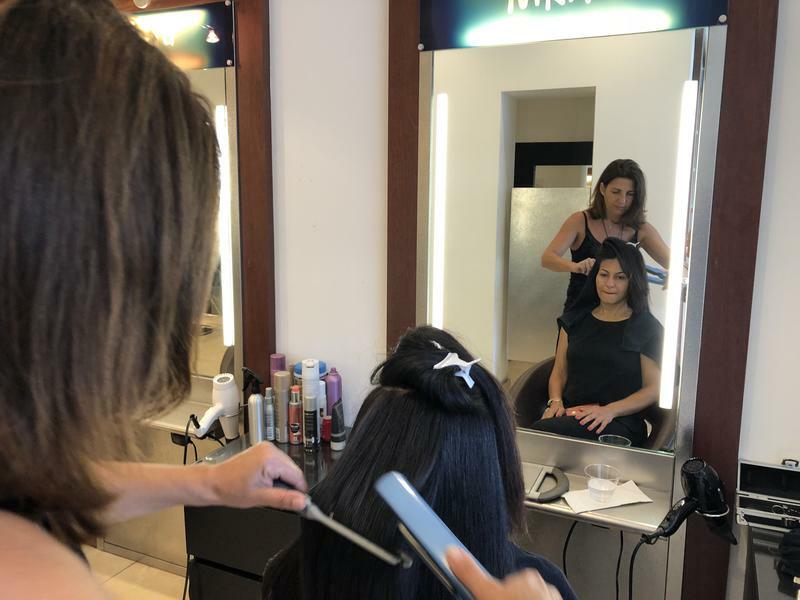 Valérie Nedjar, a French stylist, straightens a client's hair at Nikita Salon, in South Miami, Fl. The Nikita Salon, in South Miami, is one such place. Clients say they love the salon because they like to hear and practice French with the employees. "I have been coming here for a few years now and really enjoy it. The French are pretty detailed, they are meticulous, so they do a good job, they pay attention," says longtime customer and Miami resident Bryan May. 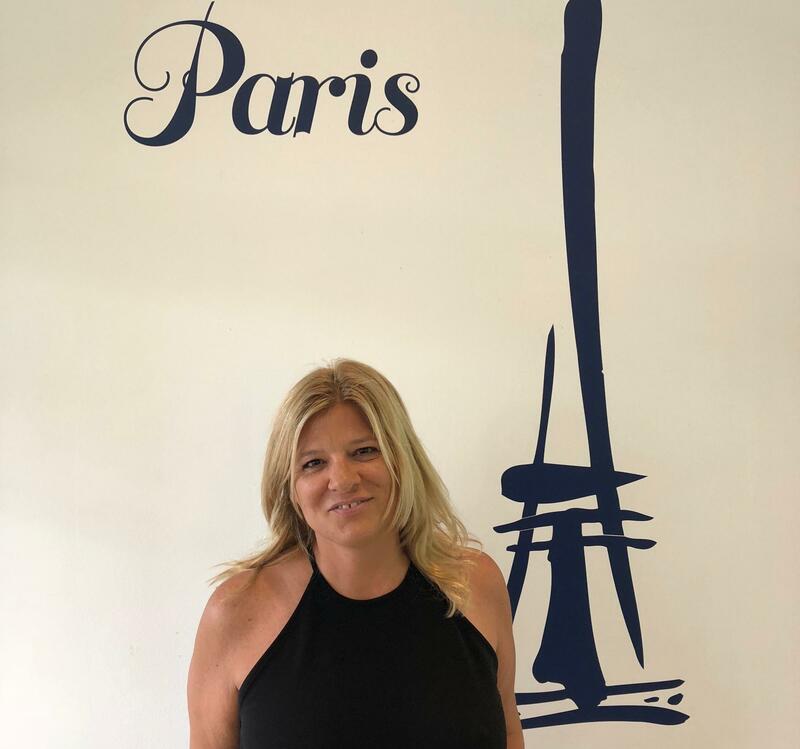 Nathalie Gonet-Dugourd opened Nikita salon 17 years ago on Sunset Drive. She says one of the reasons the French community thrives in Miami is because it's an easy place to open a business. She says she can also enroll her kids in bilingual French/American schools. Nathalie Gonet-Dugourd is the co-owner of Nikita salon, in South Miami, Fl. "When we open a business here, in the USA, we have less charges to pay for the employees, it’s very attractive for us, French people," Gonet-Dugourd says. "Moreover, in Florida we found a school that provided free French/English programs, it was the only place in the U.S. doing that." She says her salon is doing well due to French techniques, especially for short haircuts. "When customers ask for short haircuts, French stylists bring techniques and a savoir-faire that American stylists don’t have," says Gonet-Dugourd. Sicilia Medeiros, who recently to Miami from Portugal, says she feels comfortable at the salon. “It’s like going in Portugal to a salon," says Medeiros. Following the French custom, Nikita salon doesn’t require an appointment for haircuts. "In France salons have to be open all day so people can come anytime. It’s the same here. If a client wants a haircut before going to the restaurant or go shopping, it’s possible!" No Makeup For 1 Year? The Beauty Experiment. You've probably heard of a hair shirt — it's rough, woven out of goats' hair and worn as penance. Now imagine a wedding garment fashioned from human hair. Kishore Kumar donned one to make his nuptial vows. 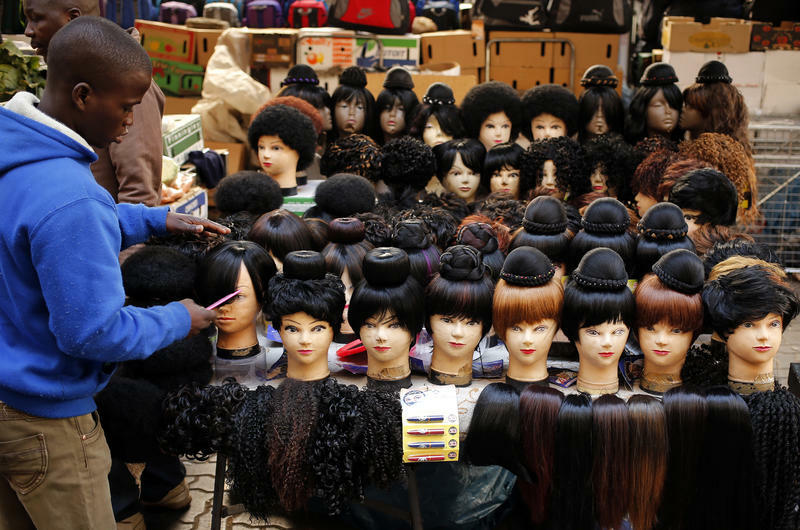 The third generation Indian hair trader is just one of the eccentric characters profiled in anthropologist Emma Tarlo's new book: "Entanglement: The Secret Lives of Human Hair."